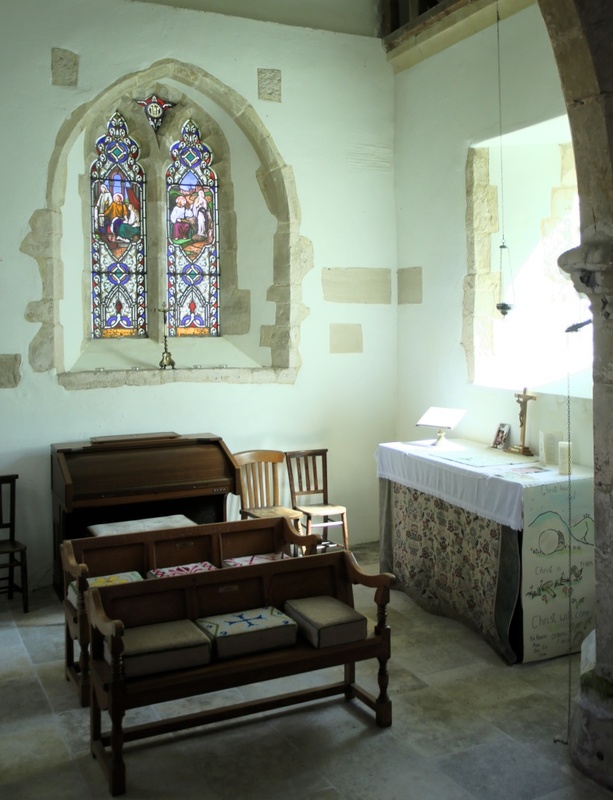 The north chapel of Edburton church, whose entrance arch groups so beautifully with the chancel arch and breaks the monotony of the long north wall of the nave, is a century or more later in date than the main building and is dedicated to St. Katherine of Alexandria. We owe its existence to the family of de Northo who were established in the parish in the centuries after the Conquest. 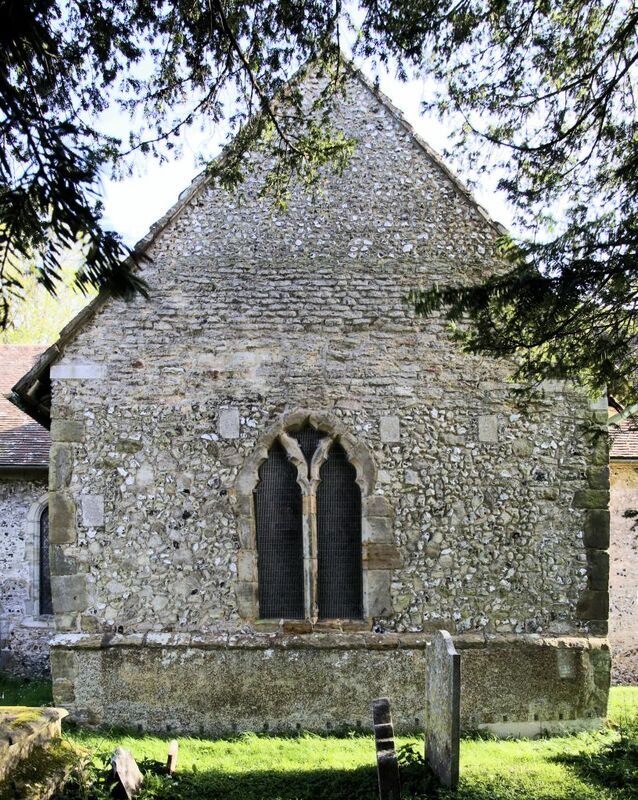 It was William de Northo who, in 1292, with his wife Olive, purchased lands in Edburton and neighbouring parishes, and again in 1325 when he purchased land from Robert de Frankeleyne, parson of Edburton, and another. 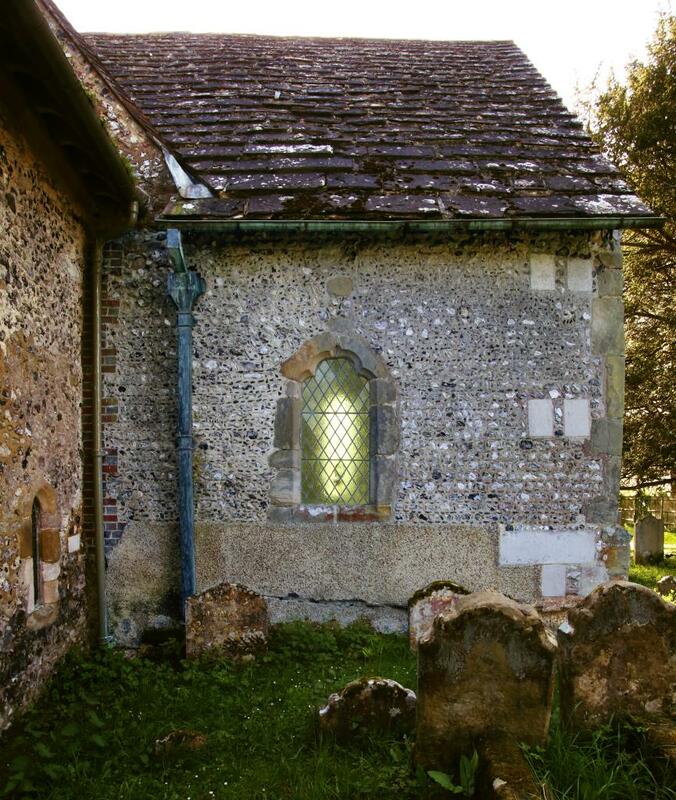 Part of his wealth he devoted to building and endowing the chapel, for by a deed made at Bramber on 13th July 1319, he founded a chantry in the church and endowed it with one messuage, one virgate of land and fifty shillings of rent in the parishes of Edburton, Southwick, New Shoreham and Woodmancote, to provide a priest to pray for the souls of the “aforesaid William de Northo, his late wife Olive, and his present wife Christina, and all his ancestors”. But why St. Katherine? The date of the founding of the chantry chapel gives the answer. The Crusades had opened communications with the near East, and the Eastern Church and its saints were acquiring a new interest in the West. There had grown up a great cult of St. Katherine of Alexandria virgin and martyr. Numerous churches were dedicated in her honour and her feast was kept with great solemnity. It will be remembered that she was one of St. Joan of Arc’s “voices”. 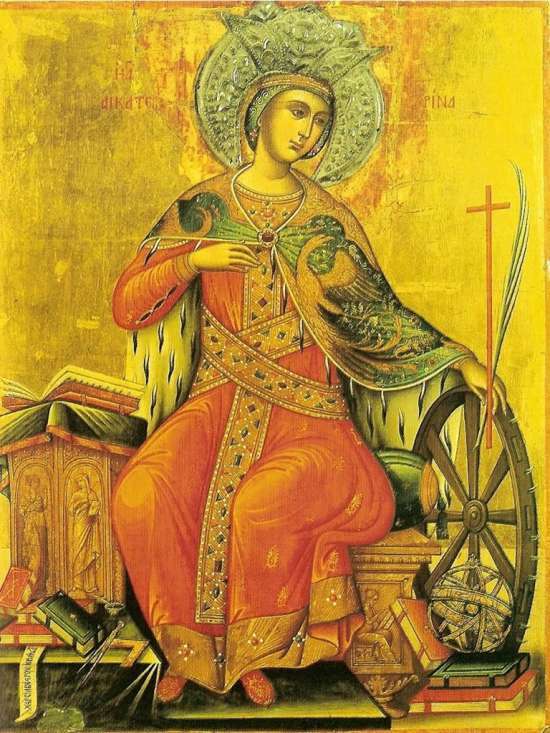 The story is well known of her persecution as a Christian in which the attempt to martyr her on a spiked “catherine wheel” failed because it miraculously burst asunder. 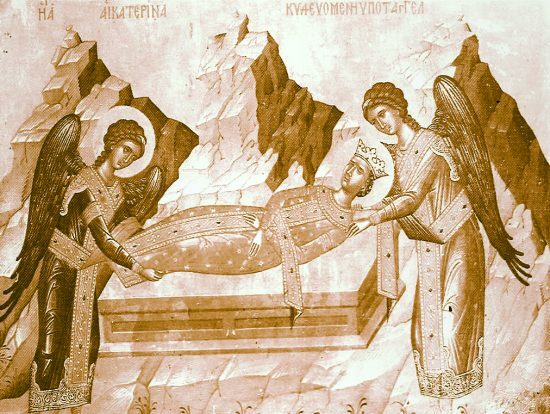 She is reputed to have been born about 310AD and by her learning is said to have confounded pagan philosophers, so that she came to be regarded as the patron saint of Christian philosophers. It is now admitted, however, that it is impossible to produce confirmatory evidence of the legends of her life and martyrdom (by beheading). to Mount Sinai following her beheading. Her feast day is 25th November. This entry was posted in Edburton, Local History, St. Andrew's. Bookmark the permalink.